There is no magic formula for ranking at the top of search results pages, especially when targeted search terms are competitive. However, there are steps you can take to improve your site's performance. Like the good guys in old western movies, the good guys in the world of search engine optimization wear white hats. White hat SEO refers to those practices that have been given a green light by search engines. They are the elements you want to incorporate into your site to get it noticed. One of the most important factors in on-page SEO is the quality of content published on your site. Articles, blog posts, and page content should be well researched and well written. Other factors will help your content stand out to search engines, but quality of writing is at the top of the list. Longer pages, articles, and blog posts tend to rank higher than shorter posts and they tend to rank for a greater variety of keywords and phrases. Design pages, articles, and blog posts in a way that breaks up the monotony of large sections of text. Headers, bulleted lists, and images can help make longer posts more visually appealing and will encourage visitors to engage more with your content. The length of time visitors spend on your page is a strong indicator of relevance. Link out to respected sources and high quality sites. When possible provide data from original sources and cite them properly. Set off quoted text in block quotes. This not only offers a design element that breaks up large amounts of text, it sends a clear signal this is quoted material. Use keywords and phrases naturally in titles, headings, and throughout the site’s content. Phrasing that sounds contrived or unnatural signals inferior quality writing. A good rule of thumb is to use important keywords in titles, headers, and in the first two paragraphs of the content. A meta description is the small snippet of text under the title of each item on a search result page. It is 160 characters long and if you do not suggest what you would like this text to be, search engines will choose the text for you, which can lead to some funny results. Meta descriptions are not thought to be used directly by search engines, however using meta descriptions to help entice visitors to click through to your site will send a signal to search engines that your content is relevant for that particular search term. There are also practices you will want to avoid. These are often referred to as black hat SEO techniques. If you run afoul of the search engines using these tactics, your site may be de-indexed and it will not show up in search results at all. Not only will you lose organic search traffic, it can take a long time to get out of the Google penalty box. Cloaking refers to the practice of delivering different web pages or urls to human users and search engine spiders. It is a violation of Google’s Webmaster Guidelines and will get a site de-indexed. Keyword stuffing, using a word repeatedly and in ways that sound unnatural, is another black hat SEO practice that can land a site in hot water with Google, Bing, and other search providers. Do not use tricks that allow you to hide keywords on the pages of your site. White text on a white background might fool human readers, but it will not fool Google. If you allow comments on your site, remove spam that inevitably gets through. Link spammers often search for sites with open commenting and will leave comments on older blog posts to try to avoid detection. Spam is a big red flag to Google that your site is not a trusted, high quality site. Certain elements of site architecture help search engines identify a trusted site. Site speed is a strong indicator of site quality to human readers and to search engines. If your page takes a long time to load, visitors may not hang around to find out what you have to offer. Mobile usability is a metric that is being given greater importance by Google and has been added to their search algorithm. You can test your site for mobile usability here. According to comScore, a leading Internet analytics company, the number of mobile-only users has now surpassed the number of desktop-only users, while a large majority of users (78%) user multiple platforms for accessing the web. With the rise of mobile-only users, Google is now giving mobile usability more emphasis in its search algorithm. Page and post urls should be descriptive of the content contained on the page or within the post. If your site is well organized and easy to navigate for humans and web crawlers, it will help boost search engine rankings. In the early days, search engines placed a lot of emphasis on the number of incoming links a site had to help determine whether the information contained in the site was relevant and trusted. While incoming links from high quality sources are still important, authority and trust are playing a greater role in determining where a site will rank in search results. Incoming links still play an important role in determining search results rankings. It is important to concentrate on high quality links rather than forum and comment spam. Sites that are open and transparent with the identity of the business or purpose of the site and the identities of its authors are considered more trusted than those sites with anonymous authors or an unclear identity. 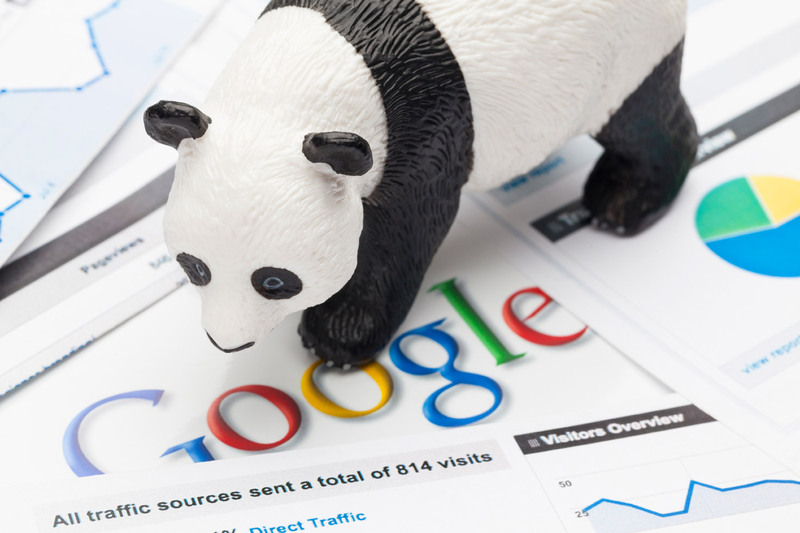 Social signals play a strong role in helping a site rank higher in search results. Having a thought leader with high authority tweet out, +1, or share your content can lead to higher traffic and a boost in search rankings. It also helps when a large number of people interact with your content on social media regardless of their authority. XML Sitemap - the XML Sitemap module creates a sitemap designed specifically for search engines to facilitate a better crawl of your site. The easier it is for search engine crawlers to find its way around your site, the easier it is for search engines to help others find information on your site. Page Title - the Page Title module allows you to create descriptive titles for nodes and pages. Redirect - the Path Redirect module will protect the integrity of a site by redirecting content when a path is updated or changed. The redirect prevents error messages when a site is being crawled. Global Redirect - the Global Redirect module fixes errors that often occur with duplicate content. Search 404 - The Search 404 module will help keep bounce rates down by suggesting related content when a url search comes up empty. It uses the keywords in the broken url to find site content that is closely related to the original search.